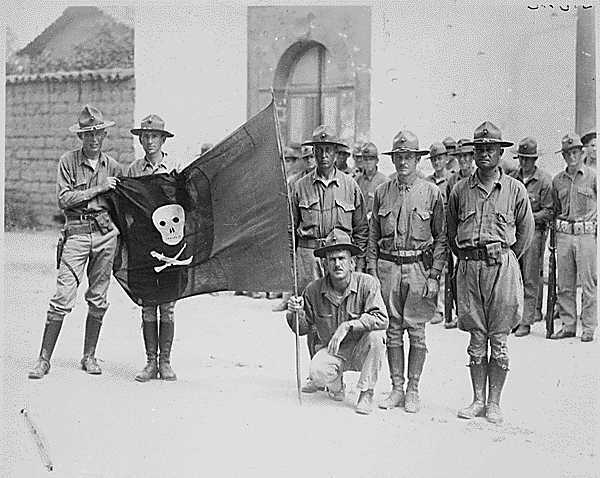 The Banana Wars were a series of occupations, police actions, and interventions involving the United States in Central America and the Caribbean between the Spanish–American War (1898) and the inception of the Good Neighbor Policy (1934). These military interventions were most often carried out by the United States Marine Corps. 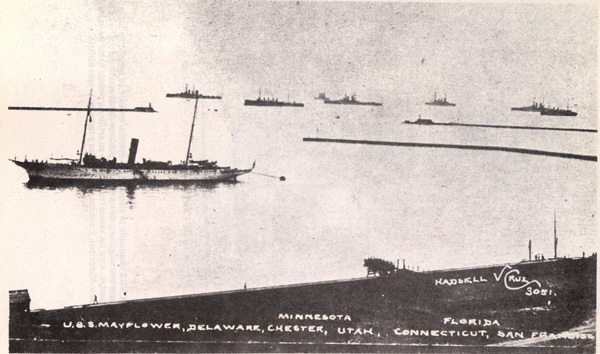 The Marines were involved so often that they developed a manual, The Strategy and Tactics of Small Wars, in 1921. On occasion, the Navy provided gunfire support and Army troops were also used. Reasons for these conflicts were varied but largely economic in nature. The conflicts were called "Banana Wars", a term that arose from the connections between these interventions and the preservation of American commercial interests in the region. Most prominently, the United Fruit Company had significant financial stakes in production of bananas, tobacco, sugar cane, and various other products throughout the Caribbean, Central America and Northern South America. The U.S. was also advancing its political interests, maintaining a sphere of influence and controlling the Panama Canal which it had recently built, critically important to global trade and naval power. The first company that concluded an agreement with the Honduras government was the Vaccaro Brothers Company (Standard Fruit Company). The Cuyamel Fruit Company then followed the lead. Furthermore, the United Fruit Company also agreed to a contract with the government, which contract was attained through its subsidies (Tela Rail Road Company and Truxillo Rail Road Company). There were different avenues that led to the signature of a contract between the Honduras government and the American companies. The most popular avenue would be to obtain a grab on a piece of land in exchange of the completion of railroads in Honduras. It is, thus, the reason why it is a railroad company that conducted the agreement between the United Fruit Company and Honduras. However, according to Mark Moberg, most banana producers in Central America (including Honduras) “were scourged by Panama disease, a soil-borne fungus (…) that decimated production over large regions”. Therefore, when a plantation would be decimated, the companies would leave the plantation as is, and destroyed the railroads (and other utilities) that they had been using along with the plantation. Therefore, one might argue that the exchange of services between the government and the companies was not always respected. In British Honduras (modern-day Belize), the situation was slightly different. According to Mark Moberg, despite the fact that the United Fruit Company was the sole-exporter of bananas in British Honduras, and that the company was also manipulating the government, the country escaped itself from the term ‘banana republics’ that had been coined to other Central American countries at the time. ↑ 7.0 7.1 7.2 7.3 7.4 7.5 7.6 7.7 Miguel Cáceres Rivera and Sucelinda Zelaya Carranza, “Honduras. Seguridad Productiva y Crecimiento Econoómico: La Función Económica Del Cariato,” Anuario de Estudios Centroamericanos, Vol. 31 (2005), pp. 49-91. ↑ 8.0 8.1 8.2 Mark Moberg, “Crown Colony as Banana Republic: The United Fruit Company in British Honduras, 1900-1920,” Journal of Latin American Studies, Vol. 28, No. 2 (May, 1996), pp. 357-381. Langley, Lester D. (1983). "The Banana Wars: An Inner History of American Empire, 1900-1934". Lexington: University Press of Kentucky. ISBN 0-8131-1496-9.